The Ecco Biom Hybrid 2 golf shoes are built as a hybrid shoe with a spikeless sole design that can be worn on and off the course. The Ecco exclusive Yak leather uppers offer incredible comfort and long-lasting protection. Ecco Biom hybrid 2 shoes are anatomically shaped to fit your foot better with a performance-enhanced inlay sole. This creates a more comfortable fit every time. ECCO shoes are the most comfortable for me. The color was what I wanted and it happen to be in my size . The price was unmatched due to holiday pricing. Quality is the best and shipping was the quickest. Shoes arrived within a few days of order. The fit was great and comfortable. This is my second pair of Ecco shoes. For me, the are an excellent choice. 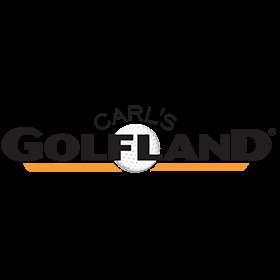 I could not believe how quickly I received my order from Carl’s Golfland, and how easy the whole order process was. Thrilled. Awesome transaction, fast shipping and delivery. Shoes are great.... Thank you! !